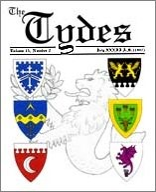 The Chronicler publishes The Tydes, the official newsletter of the barony which comes out near the first of each quarter. 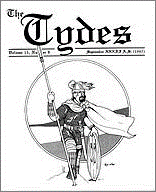 The Tydes prints various articles and artworks of interest to Lyondemere and the SCA. These might include research reports, “how-to” articles, period artwork or writings, original artwork or writings (with a period theme), SCA and Lyondemere news, officer reports, official notices, and minutes of the previous baronial council meeting. 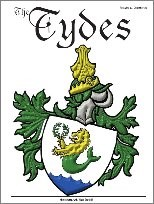 The Tydes is also posted on our website: Category: Tydes. The submission guide for The Tydes is an attempt to balance easy submission for you, with the time that the Chronicler has available to work on the newsletter. If you have any special requirments that fall outside these guidelines, please contact the Chronicler to discuss. Submissions are due ON or BEFORE the 25th of the month before publication, for the following quarter’s publication.